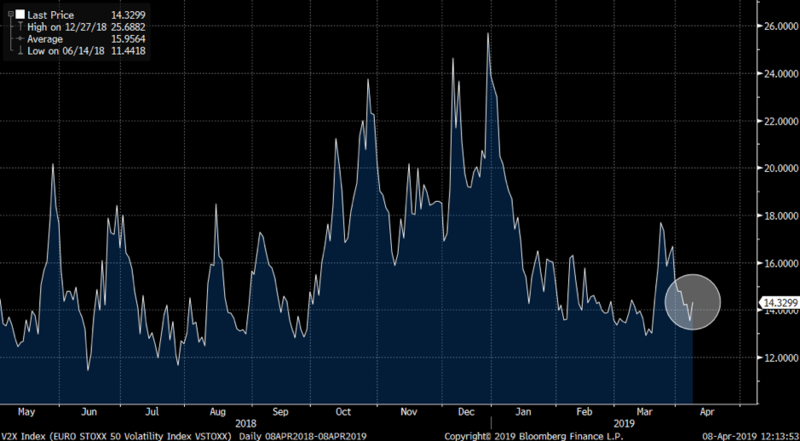 We are seeing some “light” moves higher in equity volatility today. For now, it is nothing major, and most part of the move is the “Monday effect”, but it is a slight “deviation” form what we have seen over past weeks. The VIX is up some 5% in pre-market trading. 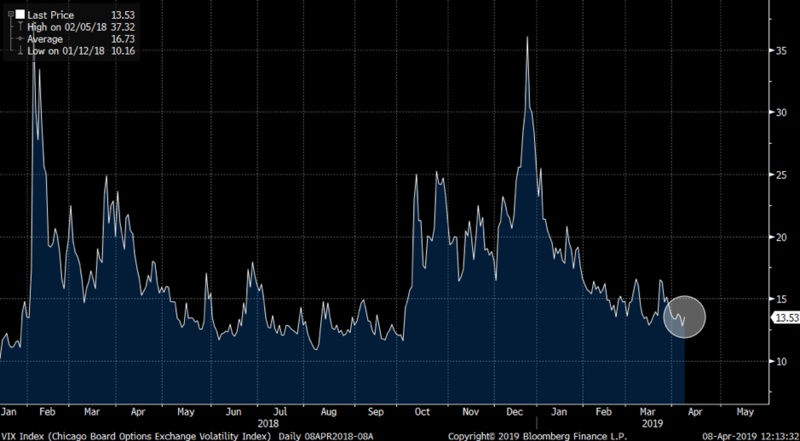 Eurostoxx volatility, V2X index, is +5.5% as well. The moves are so far small and there is no real theme markets are focusing on, but we are seeing some dips in Chinese equities and some moves in Emerging markets related assets. The Turkish lira and other Turkish assets have once again been gaining some traction as we have seen further weakening of the TRY as well as credit spreads in Turkey moving. For now, these moves are not big enough for investors to start looking closer at potential risks. The JPM emerging market FX index continues trading “muted”. 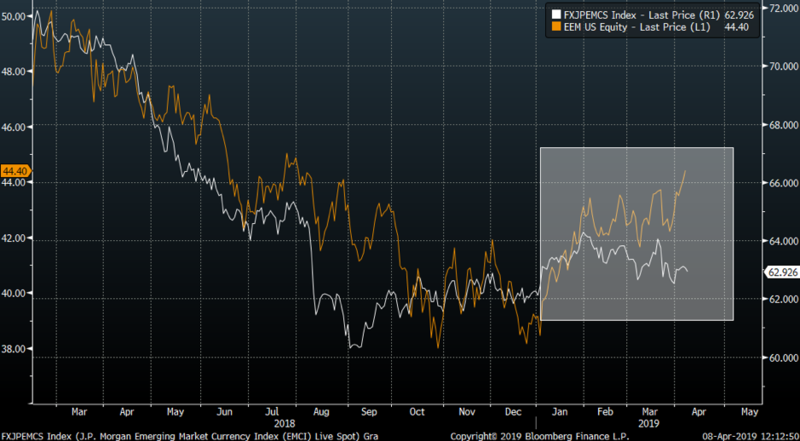 Emerging markets FX risk is a delicate part of the global risk sentiment so watch it closely here. At this stage, “nobody” cares, but EM FX space eventually spills over to EM equities, and should the “spill over “effect gain more traction, the EM space could spill over to DM risk.